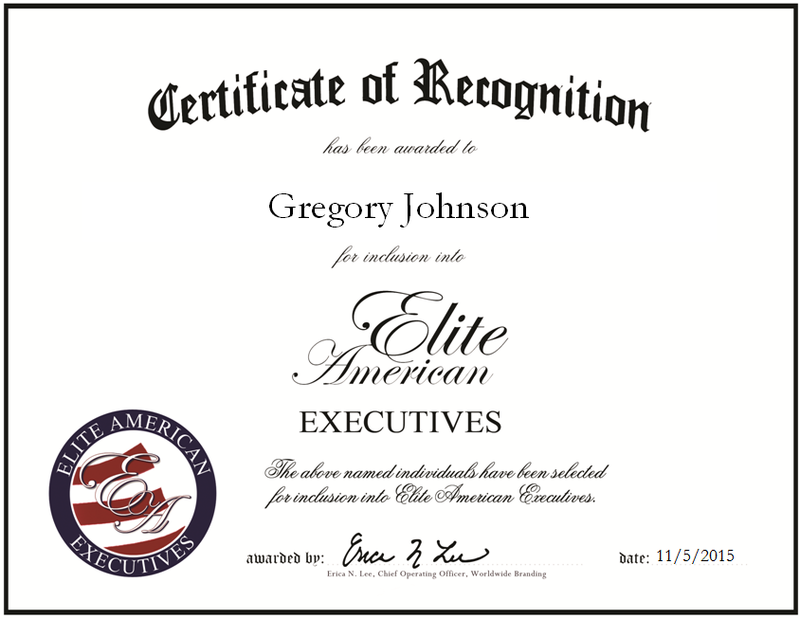 Cleveland, OH, November 5, 2015, Gregory Johnson, Founder and Chairman of Global Parenting Network, has been recognized by Elite American Executives for dedication, achievements and leadership in nonprofit services. “Being a parent is a huge leadership role that changes your life,” says Mr. Johnson, who founded the Global Parenting Network 20 years ago to offer education, training and resources to teach parents to become leaders for their child at every stage of their life. Driven by his desire to make a positive difference in the lives around him, he demonstrates commitment, purpose and experience in every aspect of the business. In recognition of his professional achievements, he was awarded the President’s Volunteer Service Group Award and the “100 Black Men” community service award for excellence in mentoring. Mr. Johnson maintains affiliation with the Fathers and Families Coalition of America and the Family & Children’s Association. Mr. Johnson became involved in his profession after the personal tragedy of losing his son to complications arising from type I diabetes. “Parents need to be forever involved in the lives of their children,” says Mr. Johnson of his professional motivation to guide parents in their own family structures to face and overcome obstacles and challenges. To support his nonprofit, he earned a master’s degree in organizational development and analysis and achieved a postgraduate certificate in executive management, business administration and operations from Tuck at Dartmouth. In the future, Mr. Johnson plans to bring online and in-class courses to regions across America. This entry was posted in Parenting and tagged business operations, community relations, leadership development, nonprofit, nonprofit services, parenting organization, presentations, promotional services. Bookmark the permalink.